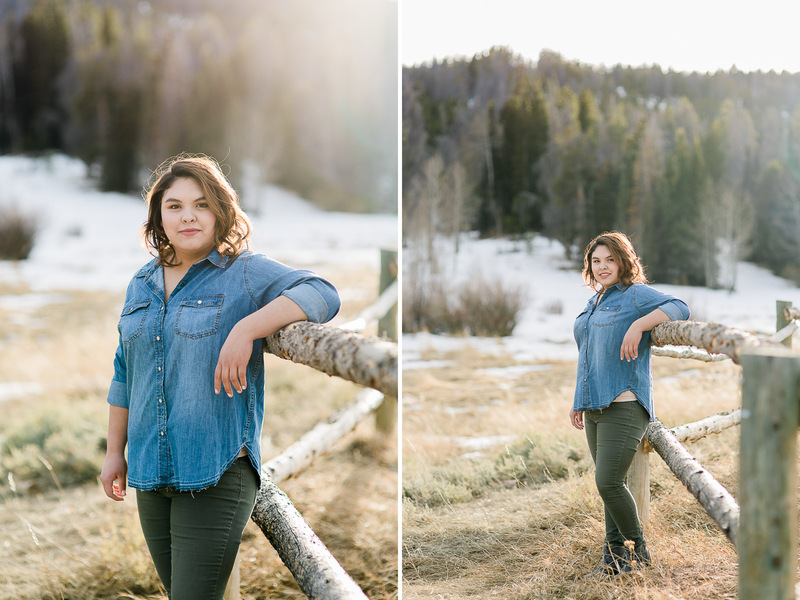 I adored photographing Adela’s high school senior portraits…. This girl is as gorgeous as she is funny! She will graduate from Torrington High School this spring, class of 2017. 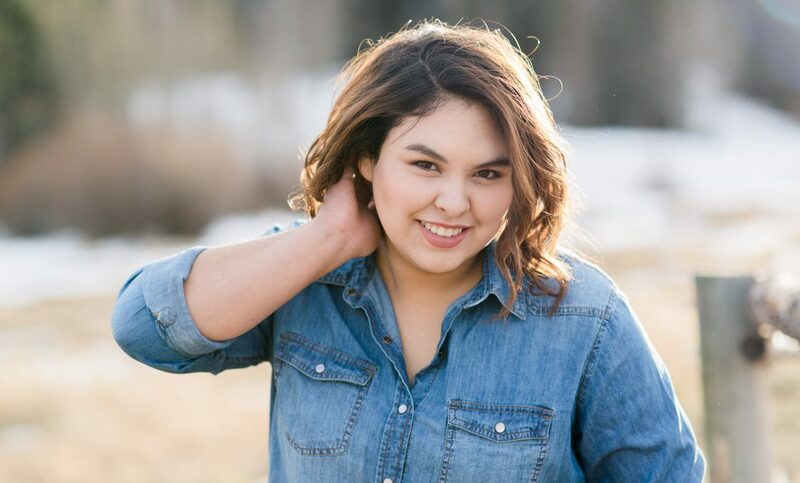 She came to Laramie with her mom and her aunt last weekend and we met at Luna salon for hair and makeup styling with Robin. Adela has a natural beauty that was only enhanced by Robin’s professional styling. One last stop to pick up a lovely floral crown from Poppy’s in Downtown Laramie and we were on our way! 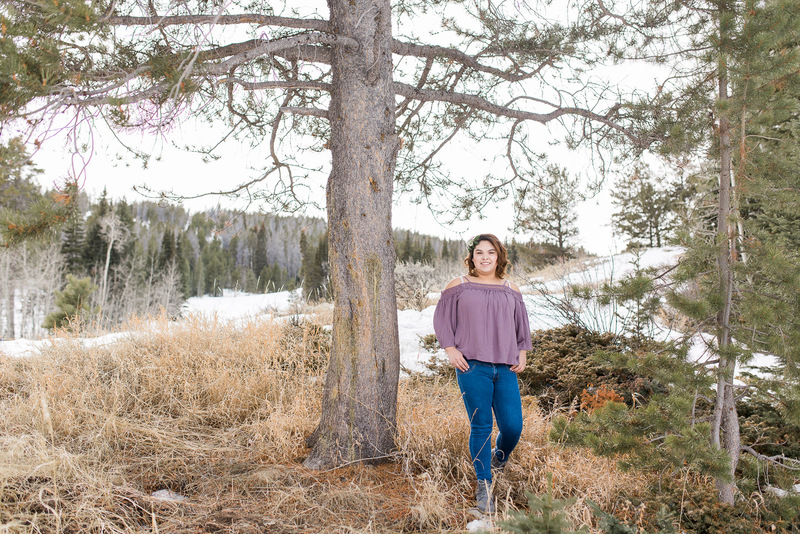 For Adela’s senior session we headed into the hills and started at one of my favorite places near Laramie, Wyoming. Happy Jack Recreation Area within the Medicine Bow National Forest offers lots of variety with wood fences, pine trees and grass fields all surrounded by lovely mountain views. 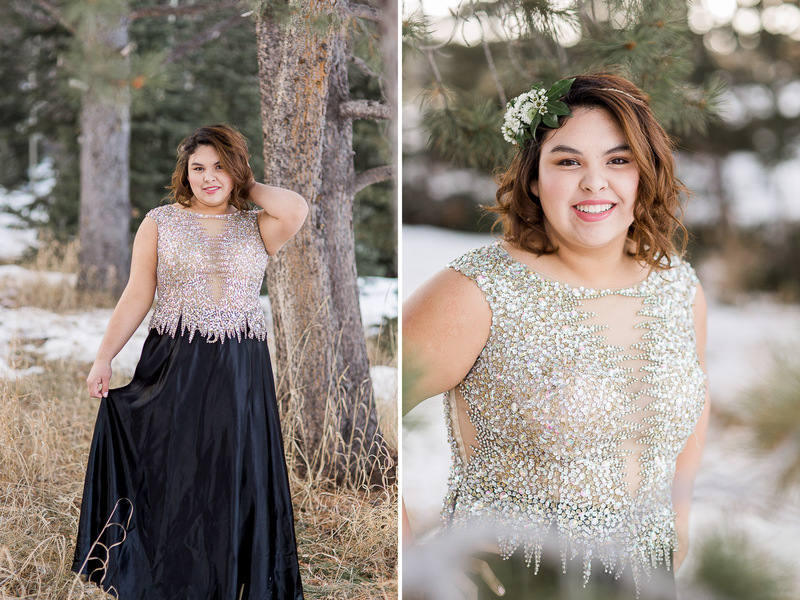 It turned out to be a beautiful and warm day for February allowing Adela to rock her BEAUTIFUL dresses. 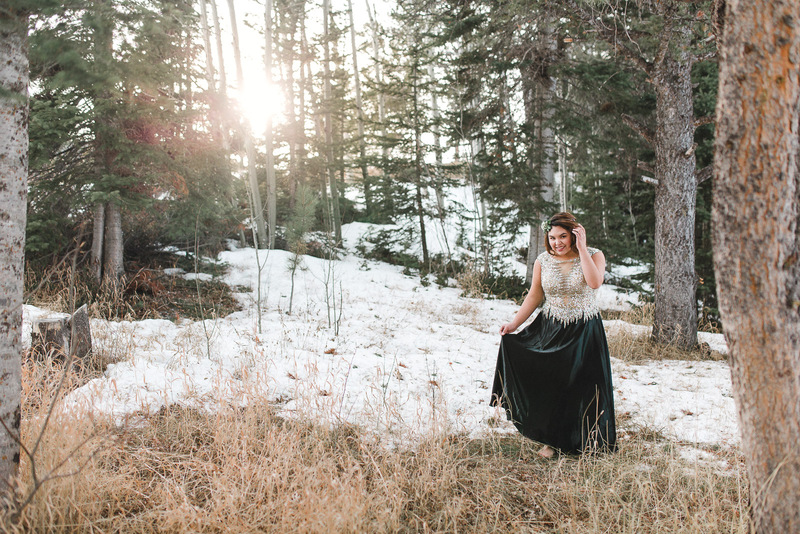 Check out her STUNNING prom dress! Even with all the glamour, I think her final outfit was my favorite. 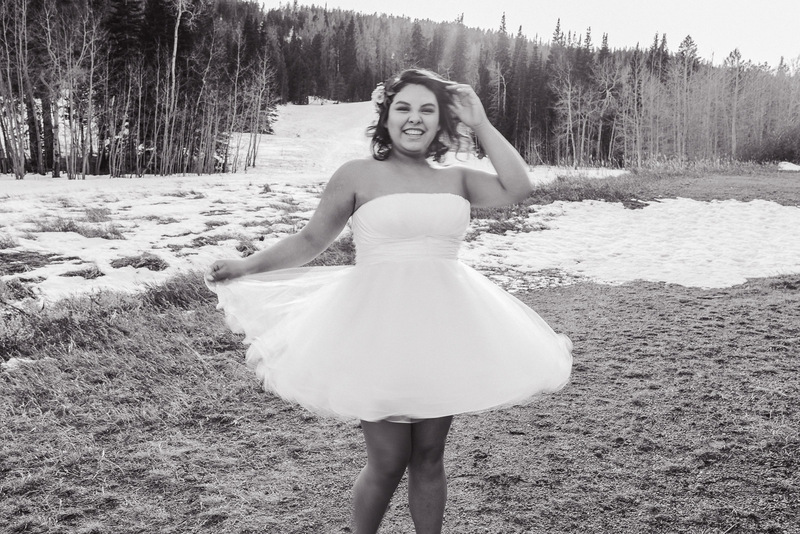 As gorgeous as a dress can be, A girl just shines in the clothes she’s most comfortable in. For a girl as laid back, fun, and charming as Adela her true beauty shines no matter the outfit.